This blog post was originally published on Medium and is republished here for our readers. From waking up unprepared for our name on Product Hunt to getting 500 upvotes, dozens of new signups, thousands of new site visitors, and a #4 spot on the Product Hunt Tech Digest. We’re Filestack. And we have been for almost an entire month. 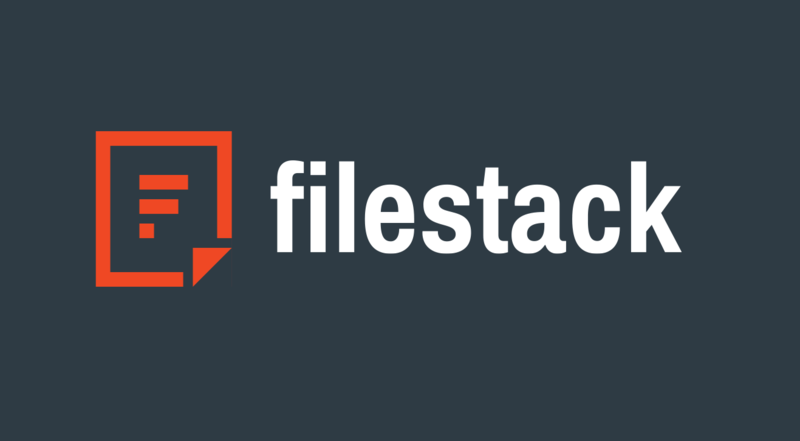 We recently rebranded ourselves – from Filepicker – the world’s original file uploader, to Filestack – the end-to-end file & image management service for websites and mobile apps. Not only do we “pick files,” we also enable our users to perform extensive image transformations and facilitate seamless content delivery, with edge servers all over the world. We are used extensively by CTO’s of e-commerce retailers, ed-tech platforms, image heavy apps, and more as a way of uploading, manipulating, and hosting content. Well, that got me up fast. Then reality sets in… We are not prepared to optimize this publicity. We don’t have custom product hunt landing pages. We haven’t prepped targeted assets. Our new website has only existed for a couple of weeks. How can we make the most of Product Hunt with absolutely no preparation? Stereotypical of the millennial I am, I go straight to social media – tweeting, facebook posting, emailing, and DMing every person vaguely interested in tech that I know. The immediate response from my Venture for America friends, many of whom have had experience with Product Hunt before, is to not share the direct link to our PH page because Product Hunt’s algorithm weighs clearly solicited votes less. Oops. Okay, if spamming friends won’t help us get to the #1 spot, I guess it’s time to go for quality content. We Tweet @ProductHunt for Maker authority so we can comment on our Product Hunt page. Our CEO, Pat Matthews, posts about our vision. Our head of Customer Success, Joseph Palumbo, responds to comments. Our designer, Brandon Escalante, adds beautiful creatives. We sit back, accepting the rest is outside of our control. It’s up to our users to post positive reviews. It’s up to “hunters” to find value in our product. The up-vote count continues to rise. Our users are commenting wonderful reviews, raving about our seamless product and responsive support. Reminding us that their apps depend on us for their file infrastructure – and that they couldn’t be happier about it. People we don’t know are saying that they are interested in giving us a try. And there are a couple of trolls, but hey, that’s the Internet for you. By lunchtime, we make it on the homepage. I’m scoping out the “competition” and I can’t help but be incredibly impressed by their products. #2 is actually a product made by one of our customers. I am genuinely proud that we enabled the creation of something so “huntable.” This is fun. While I’m watching our Product Hunt up-vote count slowly tick upwards, our analytics expert, Caitlin Vanasse, is glued to Google Analytics. Our Pageviews are skyrocketing. Over 1,500 more unique visitors to the site than usual. New signups. Woah. Thank you Product Hunt! We finished the day with 388 (now 500) upvotes, winning a place on the Product Hunt Tech Digest. 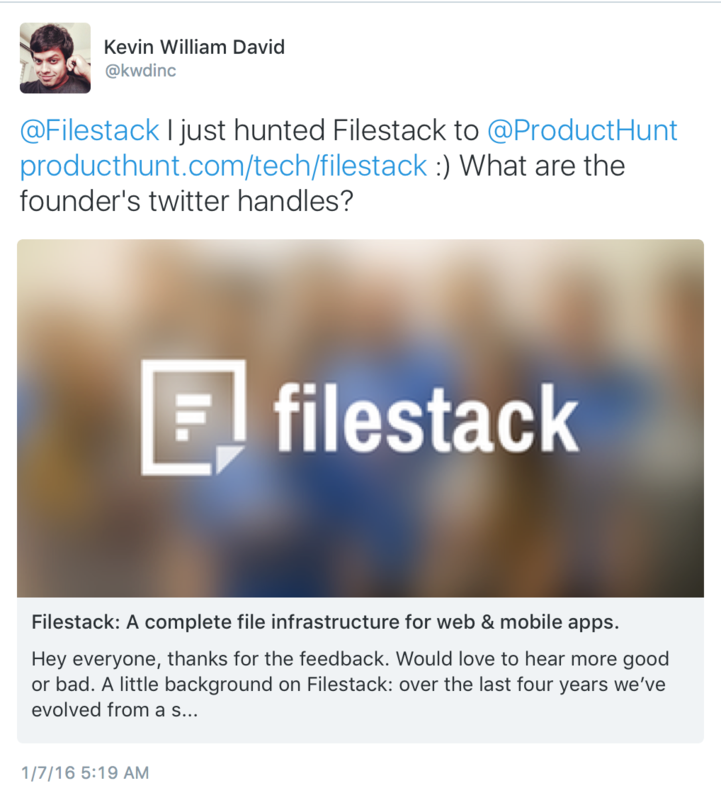 We can trace 30 signups and 3,000 unique visitors to filestack.com directly from Product Hunt, and more Product Hunters are continuing to trickle onto our website to this day. 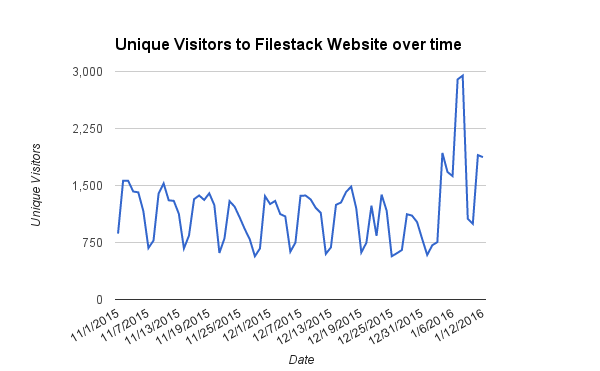 Even more important than this spike in traffic, our team has a huge spike in morale. We were shelled by positive comments, on Twitter and via email, as well as on the PH listing, with our users telling us how much they appreciate our product and other developers exclaiming how they were thrilled to know a product like ours existed. While there are other companies offering uploading or image hosting services, our customers called out our ability to empower them with “complete image infrastructure” as well as our team’s extensive knowledge and eagerness to help solve their problems as key differentiators. We are applying this Product Hunt feedback to the future of our team and product. 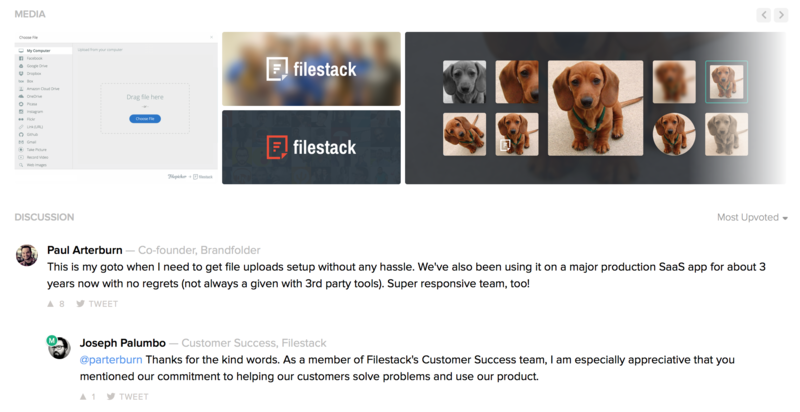 We learned what our users value most about Filestack, and we are going to continue to build in that direction, focusing on the simplicity of our service and the responsiveness of our team. We survived the hunt. And we Feasted.